Rolls-Royce Motor Cars recently celebrated the largest gathering of Rolls-Royces in the world at the 56th Rolls-Royce Enthusiasts’ Club Annual Concours and Rally. 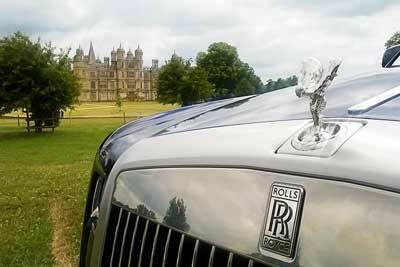 The spectacular setting of Burghley House in Stamford, Lincolnshire, provided a beautiful location to host the record number of Rolls-Royce cars, consisting of over 1000 classic and modern day cars gathered together for the first time in the Club’s history. 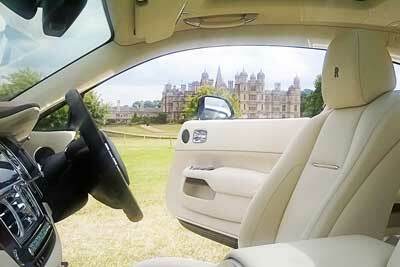 Rolls-Royce Motor Cars honoured the occasion with a display of seven Goodwood-built Phantoms, Ghosts and Wraiths. An increasing number of Rolls-Royce enthusiasts are choosing to buy Goodwood-built Rolls-Royce cars to complement their classic heritage collection, the Rolls Royce Enthusiasts club have reflected this by the launching the ‘Goodwood Rolls-Royce Motor Cars Register’. Although the register is relatively new, it is now one of the fastest-growing sections within the Club. The Rolls-Royce Enthusiasts’ Club is a club for owners and enthusiasts of Rolls-Royce motor cars. Starting with just eleven people at the inaugural meeting in 1957, membership is now approaching 10,000, making it the largest club of its kind in the world. Membership is open to owners and non-owners alike and members are drawn from all walks of life and from most countries of the world.